The following is from the Big Ideas For Small Groups blog. It is published by a church in Naperville, IL. Well we've been reading from the Bible and studying Walking the Small Group Tightrope and the discussions have been great! This morning we talked about the balance between Truth (studying the Bible) and Life (sharing our story). A "Truth-only" small group solely talks about the Bible and doesn't ask questions of application like "so what?" or "now what?". A "Life-only" group only shares each other's stories and offers advice solely based upon each other experiences as opposed to looking to God's Word and Spirit for wisdom. 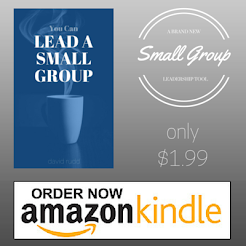 So what have your experiences been like - mostly a Truth or mostly a Life small group? Or which type of group would you prefer - Truth or Life group? Working toward having a formative, caring, and missional group is a great way to find the balance between truth and life.